I find smoothies to be an easy way to regularly add more fruits and vegetables into my diet, but every so often I need a little something extra. Sometimes the smoothies alone just don’t fill me up or I’m more in the mood to eat rather than drink my food. I have found a solution to my problem – acai bowls! Acai bowls come in all shapes and sizes, but they are essentially a blended mixture of whole fruits and other ingredients such as yogurts and granolas to create a frozen treat (or meal if you get a large enough bowl). My friends as Robeks recently asked me to come in and try their limited edition Hawaiian Acai Bowls. Ummm, yes please! Between now and September 27th you can try one of their three favors imspired by the beautiful, tropical Hawaii! Aloha Bowl (right) is blended with acai purée and fresh watermelon and topped with granola, fresh bananas, blueberries, pineapples, shredded coconut, and a drizzle of raw honey. Nutty Hawaiian (bottom) is blended acai, fresh watermelon, and natural peanut butter. This bowl is topped with granola, fresh bananas, nTual peanut butter, shredded coconut, and a drizzle of raw honey. Seedsational (top) is made with blended acai, watermelon, chia, and flax seeds. The toppings include granola, fresh bananas, flax seeds, shredded coconut, blueberries, bee pollen and raw honey. Bee pollen can be added to any bowl for an additional charge, or you can order the Seedsational without the bee pollen like I did.Why bee pollen? According to Robeks bee pollen is “rich in protein and vitamins” and “it also keep your energy levels up to fight fatigue and more”. Interesting, right? 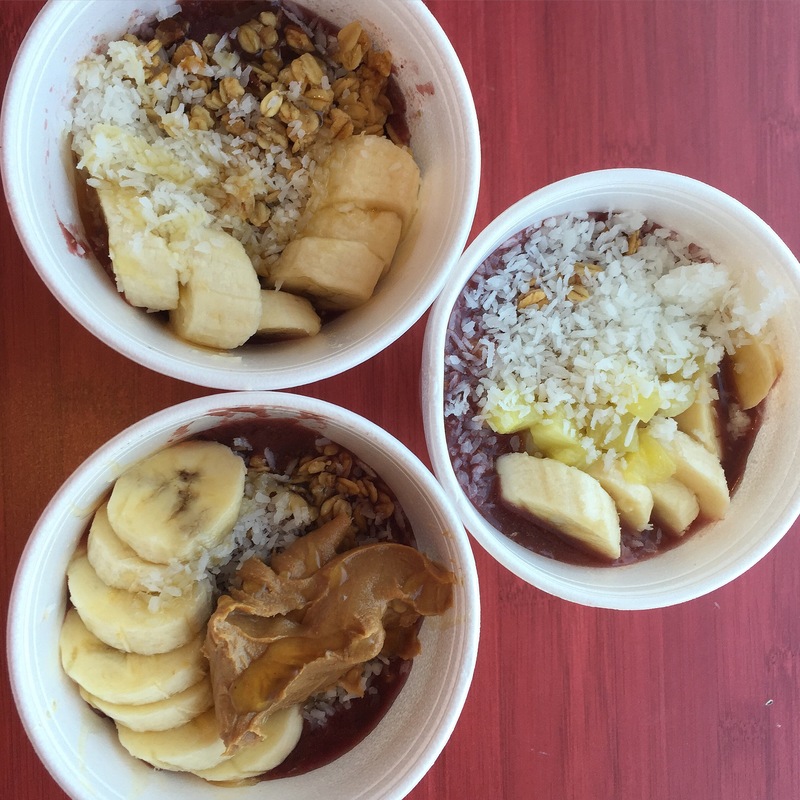 Head over to Robeks to try their new Acai bowls before they’re gone!